In Wales, and the United Kingdom in general, the weather can be very unpredictable; the transient time between the end of winter and the beginning of spring being often characterised by unpleasantly cold, blustery weather with vicious and biting winds, as well as mild and serene days. There is an old saying dating back to the 1600s which states that ‘March comes in like a lion and out like a lamb’, although some years the opposite can be true, when the beginning of April is anything but spring-like. 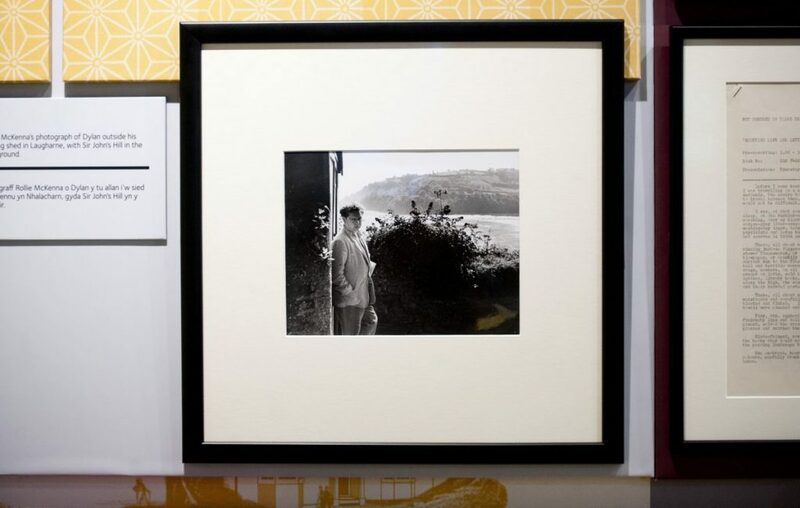 Unsurprisingly, for someone who lived the vast majority of his life near the Welsh coast, Dylan Thomas’ poems, stories, plays and letters are peppered with allusions to the wind. In the story ‘Who do you wish was with us’, travelling to Worm’s Head in the Gower, the storyteller comments ‘Even on this calmest day a wind blew along the Worm.’ Dylan’s childhood home in Cwmdonkin Drive in the Uplands area of Swansea, built high on a hill overlooking Swansea Bay, was undoubtedly storm-buffeted from time to time: ‘the October wind/ With frosty fingers punishes my hair’ (‘Especially when the October wind’). While staying at Blaen Cwm at Llangain, a pair of cottages owned by his mother’s family in west Wales, the eighteen-year-old Dylan wrote to his English girlfriend Pamela Hansford Johnson and complained: ‘Oh hell to the wind as it blows these pages about….Oh hell to the wind as it blows my hair over my forehead.’ Amusingly, he goes on to say that he hasn’t got a vest on and complains that the strong breeze is making it too cold to continue writing! Dylan’s childhood had been blighted by frequent attacks of asthma and bronchitis, and the absence of his mother’s cossetting influence back in suburban Swansea may help explain his discomfited remarks. Ever the nomad, a windswept rented bungalow in Newquay in west Wales, overlooking Cardigan Bay, became Dylan and his family’s home during 1944 and 1945 – ‘a shack at the end of the cliff’ as Dylan described it. But certainly his most well-recognised residence was the Boat House, in the seaside town of Laugharne, situated right on the edge of the beautiful Taf estuary. This is also where he wrote in the iconic writing shed, perched on the hill and took walks in ‘the rocketing wind (‘Poem on his Birthday’). A more benign breeze features at the beginning of Dylan’s famous play for voices ‘Under Milk Wood’, set in the fictional village of Llareggub, which many people consider to be influenced strongly by Laugharne. In the opening speech the narrator describes the ‘processional salt slow musical wind in Coronation Street and Cockle Row’. There are many more examples: curl up in an armchair in the warm with Dylan’s works and discover some more as the wind moves across the ‘fishingboat-bobbing sea’.